Happy February! This month is known for many things: cold weather, short days and of course, Valentine’s Day. However, one of the most powerful, impactful and important parts of February is its recognition of Black History Month. While black history deserves to be celebrated every day, Black History Month particularly focuses on recognizing the African-American men and women who have had great influences on the United States. 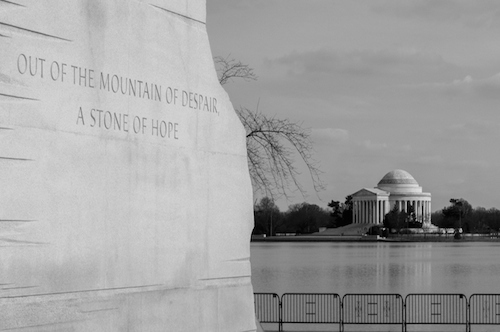 The month of February reminds us to seek out stories and histories which may often go overlooked, and recognize the significance of black history. Nevertheless, it can sometimes be difficult to consider how exactly to recognize Black History Month. What can you do? Here are six ideas for honoring Black History Month. One simple way to recognize Black History Month is by supporting black entrepreneurs in your community. Not only can you celebrate the history within Black History Month, but you can also make intentional decisions with your money to champion the future of black history. Explore black-owned businesses near you and consider how you can use their products or services. 2. Contribute to black nonprofits. There are hundreds of nonprofits who work tirelessly to advocate for equal justice and representation for all people. From confronting the issue of police violence to helping African-American girls learn about the tech industry, these nonprofits work to create more opportunity for black individuals. This month, research black nonprofits and see how you can donate your time or talents to make a difference. Literature plays an important role in influencing our perceptions of the world and broadening our minds to varying viewpoints. During the month of February, be intentional in choosing the books you consume. Search for prominent black authors with stories to share, and see how reading can influence your conception of Black History Month. From poets, to musicians, to actors and everything in between, there are multitudes of well-known (and amateur) black artists whom you can recognize during February. Search in your community for artists to watch, read or listen to; or, look on the national or international scale to broaden your horizons and learn more about the important work black artists create. 5. Research black history in your area. Black history has played a valuable role throughout the entirety of the United States, including right in your own community. This month, take time to research the stories of black history in your area by looking online, visiting a local museum or historical society or simply going to your library for more information. You’ll soon realize that Black History Month isn’t just something worth national recognition, but worth observance in every community throughout the country. 6. Learn about prominent black figures. Of course, one of the best ways to recognize Black History Month is by learning more about prominent black figures. You can support this month by researching the history of black individuals throughout generations. For example, the first African-American major league baseball player was Jackie Robinson in 1947. More recently, Oprah Winfrey became the first African-American female billionaire in 2003. Later, Misty Copeland became the first African-American woman promoted to principal dancer for the American Ballet Theatre in 2015. While black history should be recognized consistently, Black History Month provides an opportunity to pay special attention to the recognitions and accomplishments of black individuals throughout history. This February, take these ideas to heart and practice these tips as you honor Black History Month.